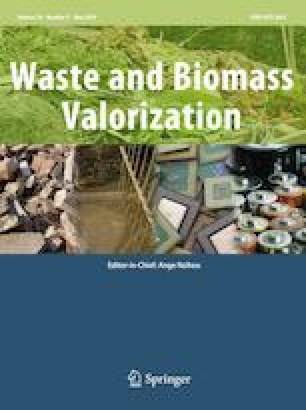 This paper illustrates the need of using the agro waste (wheat straw) as a substitute for forest products in paper industry. It aims on using the soda-AQ pulping process for converting waste to fibrous pulp. Further, it emphasizes on use of chlorine dioxide in place of elemental chlorine and hypochlorite during bleaching with aim of reducing the wastewater load and improving the pulp quality. Complete chemical characterization of wheat straw was performed. The soda-AQ (anthraquinone) method was opted for cooking and to make a pulp of kappa number 13. The pulp was bleached with elemental chlorine and calcium hypochlorite based sequences. To study the impact of adding chlorine dioxide on paper properties and effluent quality, elemental chlorine and hypochlorite were replaced with dioxide. The total elemental chlorine free bleaching sequence was also studied. The hand sheets were prepared to analyze the bleached and unbleached pulp properties using standard methodology. The effluent quality was studied by measuring the properties COD, BOD, TDS, TSS, TS, colour, lignin and adsorbable organic halides. Proximate chemical analysis of wheat straw showed that it contains holocellulose 67.3 ± 0.16%, hemicelluloses 39.2 ± 0.7%, cellulose 34.2 ± 0.9%, lignin content 14.9 ± 0.09% and ash 9.2% that mainly composed of silica (7.7%). With soda-AQ process a pulp with 53% yield and good strength properties was obtained. The bleached pulp of chlorine dioxide based sequences was having better strength properties in comparison to chlorine based sequences. Total replacement of elemental chlorine with chlorine dioxide reduced the BOD (52%), COD (49%), colour (43%), lignin (57%) and AOX (63%). Research concluded that wheat straw can be utilized by paper mills to combat the problem of waste management, air pollution due to its burning and issues of raw material for papermaking. Soda-AQ pulping method was found to be effective for preparing the wheat straw pulp. Use of elemental chlorine free bleaching may prove to be a reliable approach for better environmental management with high pulp characteristics.